The Jozi Cats, Africa’s first gay and inclusive rugby team launched a recruit campaign today to attract more players. 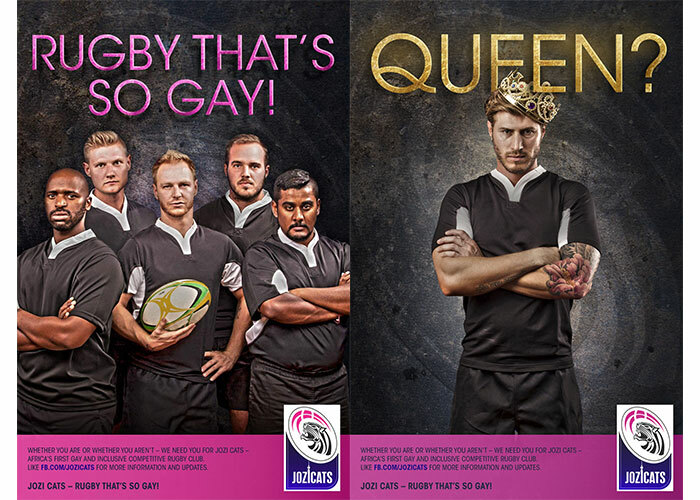 The campaign, spearheaded and created by the Head of Havas PR South Africa, Chris Verrijdt, uses players from the rugby team in a series of shots with derogatory gay terms that question the perception of the kind of gay man the players are. For Jozi Cats Chairman, Teveshan Kuni, the campaign was “right place; right time” as although the team had been around for a few months, recruiting new players had plateued. For more information and updates, like facebook.com/jozicats and jozicatsrugby on Instagram.